For the past ten years, Kassel in Germany has been home to one of the most important annual forums on the world of photography books. The 10th anniversary FOTOBOOKFESTIVAL KASSEL will be a long weekend from 31 May to 3 June 2018 at the documenta-Halle Kassel. The program includes artist talks (with David Goldblatt, Susan Meiselas, Anders Petersen, John Gossage, Dana Lixenberg, JH Engström, Thomas Sauvin, Carlos Spottorno, Mathieu Asselin and many more), lectures by international guests, exhibitions and a book market presenting up to 50 publishers. The KASSEL PHOTOBOOK AWARD will show the best photobooks selected by international experts and published during the previous year. Every night, the festival‘s evening venue DOCK4 will host special performances, dining-events, and a bar, as well as the 10th anniversary party on Saturday 2 June. Everyone is very welcome! 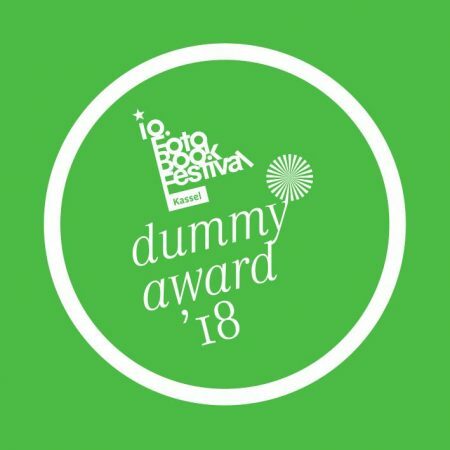 For photographers hoping to find people interested in their yet-to-be-discovered book projects, the main attraction of the FOTOBOOKFESTIVAL KASSEL is its photobook dummy competition, the KASSEL DUMMY AWARD for the best unpublished photobook mock-up. For the first time in 2018, the FOTOBOOKFESTIVAL KASSEL will additionally offer dummy book REVIEWS to the KASSEL DUMMY AWARD participants: one-to-one interviews with jury members to discuss the feasibility of their future photobook. Together with its co-operation partner Verlag Kettler, the festival invites all photographers worldwide to take part. In a first round, the best 50 books will be shortlisted by a jury in April 2018. These books will be exhibited at the 10th FOTOBOOKFESTIVAL KASSEL and several other international photo events. From the shortlisted titles, 3 winners will be chosen by an international jury in Kassel on 2 June 2018. The book that wins will be produced and published by the festival’s cooperation partner Verlag Kettler, Germany. Second and Third Prize will be a book production voucher given by our partner www.k-books.de, who specializes in high-quality book productions in small print-runs. Any photographer from around the world can enter. Registrations will be open from 15 November 2017 until 03 April 2018. There is a charge of 36 € per entry and book. The KASSEL DUMMY AWARD & REVIEWS offer a great opportunity for photographers to be discovered by international publishers and experts, to be exhibited at several photo-festivals around the world and to win a complete book production and publishing!